The West Interlake Watershed Conservation District (hereinafter referred to as WIWCD) was established in June 2008 with a population of approximately 7854 watershed residents, and covers an area of 6,948 square kilometres. 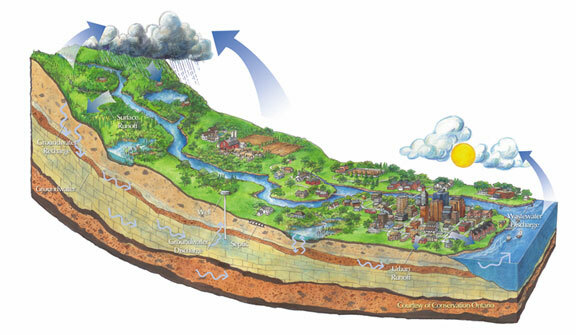 A watershed (or drainage basin) is an area of land which acts like a funnel, collects precipitation as it falls and funnels it into a creek, river and ultimately into a lake or ocean. Each watershed is separated topographically from adjacent watersheds by a geographical barrier such as a ridge, hill or mountain. Watersheds drain into other watersheds in a hierarchical pattern, with smaller sub watersheds combining into larger watersheds.